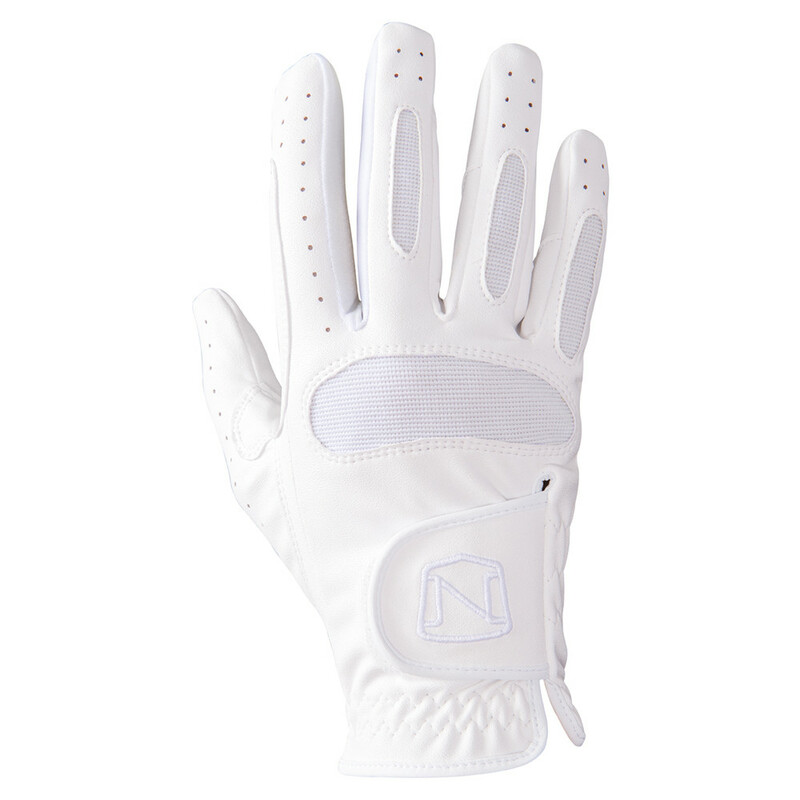 The Ready To Ride glove in white is a striking and high-performance accessory that is inspired by the demands of riding. 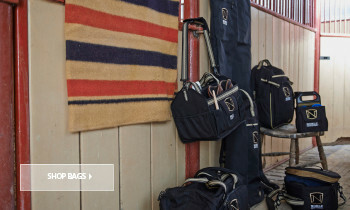 Ideal for those competing on a professional level, this high-quality glove offers the perfect fit, ensuring superior dexterity and control of your horse. Made from hard-wearing synthetic leather, this glove is durable and strong, ideal for strenuous rides or gruelling training sessions. Featuring mesh panels on the joints and fingers, you'll enjoy extra movement and ventilation. 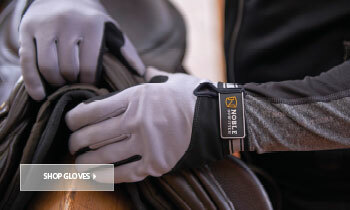 Helping to banish moisture, these gloves will leave your hands dry, warm and free from strain and injury. 51% nylon/ 49% Polyurethane synthetic leather. 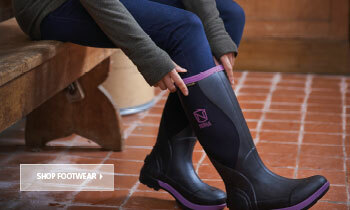 Synthetic leather material - made with a durable fabric that provides comfort and dexterity during long periods of wear. Flexible keystone cut thumb - gives extra movement of the thumb, leading to greater control of the reigns at all times. Stretch mesh side panels - mesh panels enable greater movement of the joints and help to control moisture levels, even in warmer conditions. Double stitched seams - high-quality double seaming leads to greater durability of the glove, meaning fewer replacements and an ability to endure tough, competitive rides. Reinforcement for index finger and thumb - greater support given to hands during testing rides and difficult jumps, leading to fewer injuries and straining. 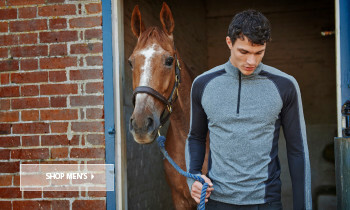 Superior style - a striking and unique design not only enhances performance, but keeps you looking stylish throughout competitions. Touchscreen friendly - you'll never have to remove your gloves to answer a call again; these gloves are touchscreen friendly, meaning you can operate your screen during wear.